HERNDON, Va.--(BUSINESS WIRE)--Middlebury Interactive Languages has received a grant from the Qatar Foundation International (QFI) to provide up to thirteen student scholarships for the 2018 Arabic Summer Academy at St. Michael’s College in Burlington, VT. The four-week immersion program provides high school students with the opportunity to accelerate Arabic language learning and cultural understanding leveraging the renowned Middlebury College developed Language Pledge®. Middlebury Interactive Languages and QFI have teamed up to increase the pipeline of Arabic speakers in the United States. Arabic is the fifth most spoken world language and has been designated as a “critical language” by the U.S. Department of State, meaning a robust pipeline of fluent speakers is critical to national security and economic prosperity. The QFI grant provides funding for up to eight full scholarships and five partial scholarships for deserving students interested in studying Arabic. To be eligible, students must qualify for financial aid and be able to continue their Arabic studies after participating in the Arabic Academy. Students with financial need are encouraged to apply before the March 21 deadline. To request QFI scholarship forms to apply for the academy, which runs from June 24 to July 20, 2018, visit the 2018 Arabic Academy Summer Language Immersion Program page to download the application. Send the completed application to Academies@middleburyinteractive.com. Middlebury Interactive Languages was formed in 2010 as a joint venture between K12 Inc. and Middlebury College, a recognized international leader in language pedagogy. The College participated in the design and review of the Middlebury Interactive Languages Summer Language Academy and in the governance of the company through 2016 when it sold its ownership interest to K12 Inc. Today, K12 Inc. and its affiliates continue to offer the Middlebury Interactive Languages Summer Language Academy under the strict guidelines provided by the College in a license agreement. K12 Inc. (NYSE: LRN) is driving innovation and advancing the quality of education by delivering digital learning platforms and technology to students and school districts across the globe. K12’s curriculum serves over 2,000 schools and school districts and has delivered millions of courses over the past decade. 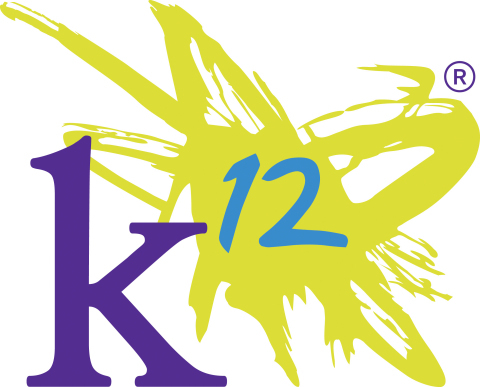 K12 is a company of educators providing online and blended education solutions to charter schools, public school districts, private schools, and directly to families. The K12 program is offered through more than 70 partner public schools, and through school districts and public and private schools serving students in all 50 states and more than 100 countries. More information can be found at K12.com. Qatar Foundation International (QFI), LLC, inspires meaningful connections to the Arab world by creating a global community of diverse learners and educators, connecting them through effective and collaborative learning environments inside and outside the classroom. QFI’s vision is of a world that embraces and respects diversity, values lifelong learning, and empowers individuals to take action to shape their future. QFI is a grant-making organization and a convener of thought leaders on issues related to global and international education, open education and education technologies. QFI’s programmatic areas are Arabic language and Arab culture and Youth Engagement.